The Madrassa was one of the main venues of education in the Muslim World under the Ottoman Caliphate until 1924 when Ataturks' law abolished it in favour of modern schools and universities. 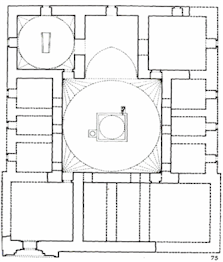 In planning terms early Ottoman madrassa maintained the spatial configuration based on the iwan plan. For more than three centuries Muslims used the mosque for teaching and learning as well as other activities. By the tenth century, the teaching activity was extended to the house where the teacher lived gradually introducing, in Persia first, the so called Madrassa. During the eleventh century, under the Seljuk reign, the Madrassa emerged as a separate building, although often adjoining a mosque. The Ottomans inherited this building type with historical records showing that their first madrassa was founded in Iznik in 1331, by Syleyman Pasha. A certain Davud-I- Kayseri became its chief teacher (muderris) with a salary of thirty akce (about $60 today) a day. Later, Bursa and Edirne took over as the main centres of learning respectively. With the arrival of Al-Fatih kulliye, with its sixteen madrassa, a new impetus was given to Ottoman education in Turkey. These schools taught scientific subjects besides theology, transforming the Ottoman madrassa into an institution closely resembling modern university. Generally, there were four types of madrassas reflecting the taught subject (s) and level (s) attained. Regular madrassas were institutions teaching general subjects including religion, science and language. They were equivalent to primary schools and their students achieve a primary level certificate, which enabled them to enter higher madrassas. They were the most spread, found in every corner of the Caliphate. Darulkurra (house of readers) was a high school teaching proficiency in Arabic and reading and reciting Qur'an. The school also trained imams and muezzins. Darulhadis madrassa (the house of Hadith) was specialised in teaching the science of hadith which consisted of the study of the authentic sayings of Prophet Muhammed (Peace be upon Him). Graduates from this school were awarded an equivalent to a university level, enabling them to work as Friday lecturers, judges and so on. The Medical madrassa did not appear until the sixteenth century during the reign of Suleyman the magnificent. Prior to that medical teaching was carried in hospitals as was the tradition. The madrassa was, usually, founded and maintained by the sultan, princes and other nobles as well as the Wakf, who could afford to meet the expenses needed for free education to students. The Madrassa continued to be one of the main venues of education in the Muslim World under the Ottoman Caliphate until 1924 when Ataturks' law of 16 March 1924 abolished it in favour of modern schools and universities. There is a slight confusion about the number of schools Al-Fatih built with his kulleye. Kuran, A. (1968), op., cit., p.21 refers to sixteen, but Ahubay Zeynep (2000), 'Ottoman Medreses', Halil Inalcik et.al. (eds. ), The Great Ottoman, Turkish Civilisation, Semih Ofset, Yeni, Turkiye, p.340, mentioned only six. 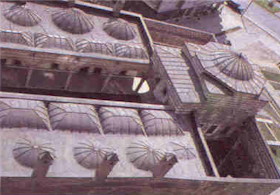 Figure 1 - Source: Kuran, A. (1968), 'the Mosque in Early Ottoman Architecture', University of Chicago Press, p. 77. 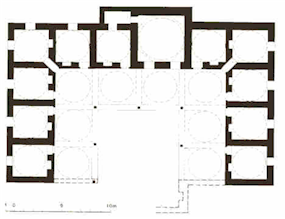 Figure 2 - Source: Goodwin Godfrey (1971), 'A History of Ottoman Architecture', Thames and Hudson., p. 39. Figure 3 - Source: Ahubay Zeynep (2000), 'Ottoman Medreses', Halil Inalcik et.al. (eds. ), The Great Ottoman, turkish Civilisation, Semih Ofset, Yeni, Turkiye, p.341.